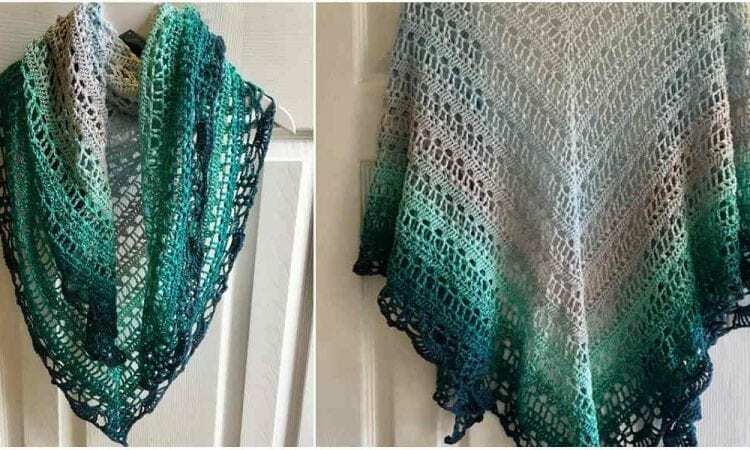 This is a beautiful, stunning even shawl done in an aquamarine color gradient. The airy texture and colors are evocative of waves on a tropical sea. This is a universal accessory that will both go well with relaxing at the cottage and with a dress for a night out. Best of all, it’s an easy pattern to follow, which means you can have one in no time flat. Beautiful! A link the free pattern is at the end of the post.